This monster is based on the succubus, a female demon that appears in the dreams of men to seduce them (to which this monster's sleepy face and clutched pillow allude). These demons feature a wide and varied history, with their mythos connecting to topics as diverse as sleep paralysis to the Kabbalah, and even alien abduction. While these monsters are historically described as demonic figures, modern popular culture has transformed the succubus into an enchantress, with the sexual nature of her character emphasized. This may explain why this monster is a Spellcaster-Type rather than a Fiend-Type. This monster appears in the artwork of Ghostrick Parade and Ghostrick Renovation. 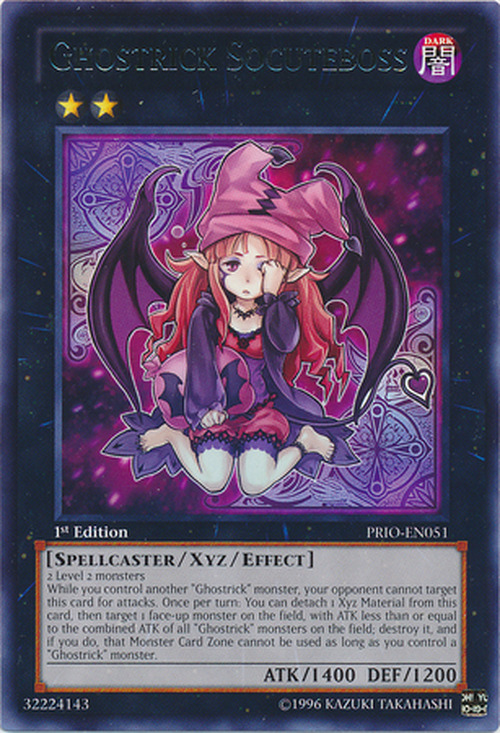 Even if "Ghostrick Succubus" leaves the field, as long as you control a face-up "Ghostrick" monster, the "the destroyed monster's Monster Card Zone cannot be used." effect is still applied. 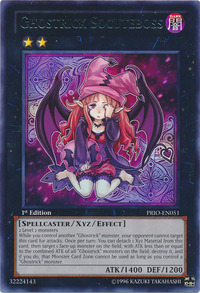 Therefore, when the player who activated the effect of "Ghostrick Succubus" no longer controls a face-up "Ghostrick" monster, the "the destroyed monster's Monster Card Zone cannot be used." effect is no longer applied. : If the effect of "Ghostrick Succubus" that destroys a monster and makes that Monster Card Zone unusable is activated, how long is that Monster Card Zone unusable?